This post is sponsored by Zarbee's Naturals. The content and opinions expressed here are that of Inrachelshoes. It is almost time for my girls to head back to school and I need to make sure they're healthy to start the school year. I also need to take care of myself so I can keep up with them! 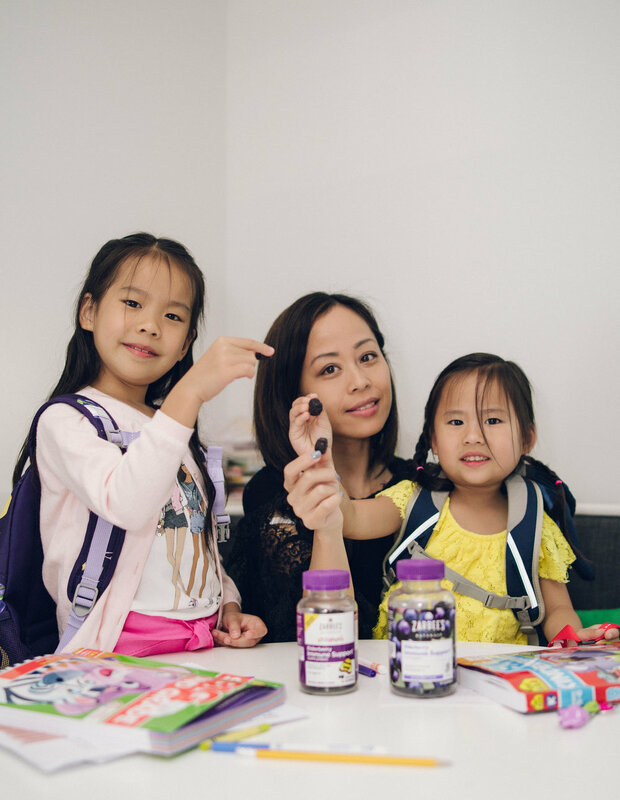 It's important to maintain a healthy immune system and that's why me and my family take Zarbee's Naturals Elderberry Immune Support Gummies – for both adults and children. For us, it's important when taking immune-supporting products that they are made of wholesome ingredients. What's special about Zarbee's Naturals is their products are packed with antioxidants, minerals, and vitamins. Specifically, the Elderberry Immune Support Gummies are packed with real elderberry and zinc along with the essential vitamins. Instead of using gelatin, Zarbee's Naturals uses a plant-based alternative called Pectin that gives a soft and chewy fun texture to the gummies. Their products are free of any gluten, artificial flavors, sweeteners, alcohol, and dyes whenever possible so you can feel good about bringing them into your home! A great way to start our day before we head to school (work for me) is to make sure my girls each have 2 gummies and I have 3 gummies. That way I know I’m getting a little extra support for the rest of the day. Both me and my daughters have a little bit of fun taking our gummies so they don't think of it as a chore. When they see mommy eating the same thing as them and know mommy is being healthy, they want to also! Start your day with Zarbee's Naturals Elderberry Immune Support Gummies and make it part of your routine so you and your family will always get that much needed extra support in staying healthy and getting through the day! You can check this out to learn even more about what makes Zarbee's Naturals products so special and where you can easily get them!